Lowest ever UK prices? Yes, please! Roku has slashed the price of its hugely-popular streaming stick range to their lowest ever UK prices as part of its Black Friday bonanza. The price drop sees the Roku Express slashed from £29.99 to £19.99 – comfortably cheaper than rivals Amazon Fire TV Stick and Google Chromecast, while the Roku Streaming Stick+ has also discounted from £79.99 to £49.99. 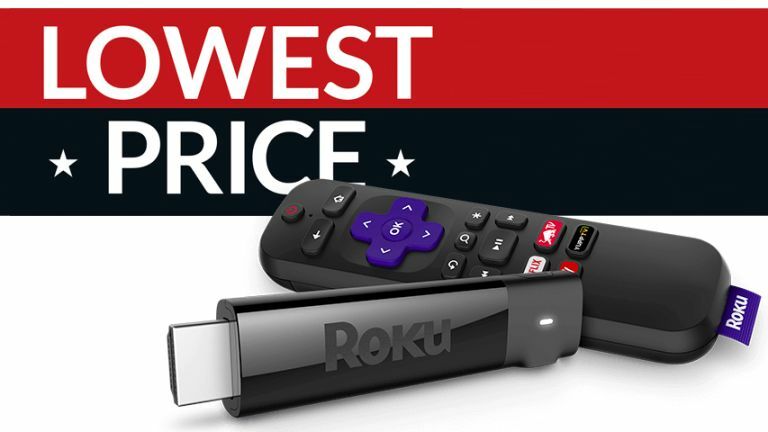 Best of all, the heavily discounted £19.99 Roku Express and £49.99 Roku Streaming Stick+ are available from a slew of different UK retailers, including Amazon UK, Argos, ASDA, Costco, Currys PC World, Sainsbury's, Shop Direct and Tesco. The Roku Express and Streaming Stick+ prices will be available for one week only, starting on Black Friday, which falls on Friday November 23 this year. Here at T3, we're pretty big fans of the Roku range. In fact, we recently named Roku Streaming Stick+ as the best media streamer of the year, stating: "The Roku Streaming Stick+ will get 4K, HDR video up on your screen for not much money at all – and it's notable for not being linked to Google, Amazon or Apple, so it shows no bias towards particular apps." "The only content you can't play is anything bought from iTunes. If you can live without that, the Roku is an excellent choice: a huge number of apps, including the usual suspects and some more unusual ones (like Firefox), a smooth and clean menu, effortless setup, and the familiar remote." "It's the best option for most people," our reviewer said. By choosing the entry-level Roku Express, you'll save money but lose some of the functionality of its pricier sibling. You say goodbye to 4K Ultra HD and HDR streaming with the Roku Express, as well as voice search via the included remote control. However, if you're not too fussed about those features, the Roku Express is a solid media streamer that will ensure you're able to view the latest essential Christmas viewing available on iPlayer, Prime Video, Netflix, and more, on the big screen. Alternatively, you also be able to pick up discounted Roku products with your grocery shopping at Asda, Costco, Sainsbury's and Tesco for the rest of the week.